Does your New Year’s Resolution looks the same from year to year and ultimately have a short life cycle? Well, according to a YouGov survey last December published by The Guardian,“32% pointed out that their resolutions are usually broken by the end of January, while only 10% said they never break one”. 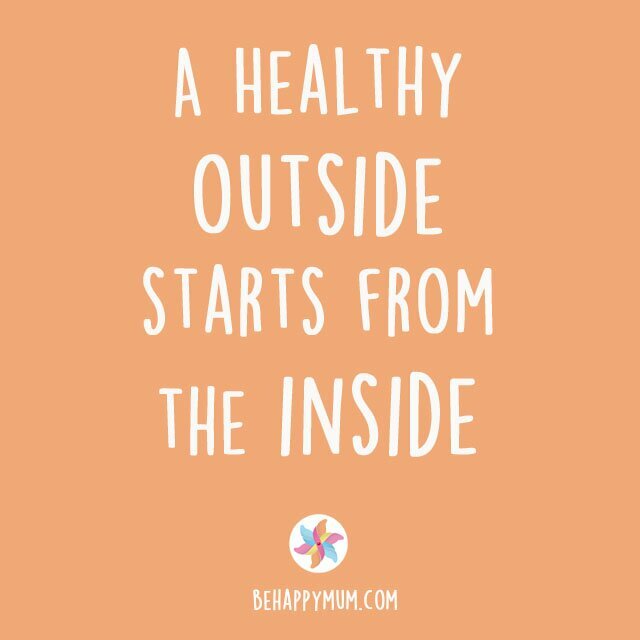 Especially if you are a mother or recently had a baby, it is far more challenging for you to keep the Resolution… but we can still do it! The changes would hardly work if we did not place a good REASON behind them would they? There is no action without MOTIVATION and INCENTIVE maybe that’s why most of us break our resolution within the first month of the year? Take some time to weigh-up the BENEFITS of each change you’ve listed. Do you enjoy eating delicious food to the full or do you feel discomfort after fatty take-aways or perhaps it is too damaging on the budget? Does time with family & their support lift your mood after a meetup so do you need more? Do your friends and colleagues provide the best quality time for your mind and soul? Some aspects aren’t always easy to define the benefits for, so let’s think WHY do we need to eat that healthily if it is not a part of our shaping-up plan or postpartum weight loss? Would you be better just learning to BALANCE your meals better rather than cutting anything out? What would work for YOU? Decide for yourself – what out of your resolution list do you REALLY need to feel HAPPY (as that’s the actual point of it right?!) All the rest …has a lesser chance of being fulfilled. Would you agree? That’s the most difficult step…because if over-ambitious we end up cheating on ourselves! Do not forget the Budget; eating fresh healthy food is not only time-consuming but quite money consuming also so make sure its BALANCED – be careful promising yourself to eat fresh fish every day unless you’re confident your budget is comfortable with this. Parenting requires huge costs in your life so do think about achieving goals in LESS EXPENSIVE WAYS. For instance, going out with friends. Why not to agree to go for drinks only or making a evening in where everyone brings something each! A diary or a calendar should be your main friend for your New Year’s Resolution! Don’t ignore this important bond! How much of your plan have you managed to follow? How difficult has it been to follow the plan? What has caused obstacles when following the plan? Has it made you any happier? Go further with your planning. Re-occurring reminders in your PHONE will help your plan to stick with you every day of the year. If you do not want to be bothered with a reminder about jogging every second day then set up a reminder about less frequent events (like a hair appointment or even a relaxing bath) DON’T FORGET the reminder for the monthly review too! If you have a smartphone, take advantage of it’s built in features – nowadays you can set up an event (the broken down actions of your resolution), set up the frequency of reminders, give them different ringtones. Play with that! It’s FREE. The research says that “telling others [about New Year’s Resolution] increased women’s chance of keeping resolutions by 10%” (Richard Wiseman, quote from BBC). The more CHALLENGING the plans you’ve made, the more changes you’ll experience which will need more SUPPORT. Finding a buddy is really great but if you prefer moving forward on your own then you still need support of your family and friends especially if you have children. Share your plans with them and ask them for help. Actually speaking out loud about the plan HELPS you to set it up in your mind. The more you talk the more clear the idea & plan will be for yourself. TRY IT! And share it with yourself! Use your phone to make a video of YOURSELF narrating about the plan, why it is important for you and what do you plan to do to make it work. Watch it throughout the year to SUPPORT and remind yourself about it. Use parenthood as an opportunity to make new friends; there are always MOTHERS who will think alike in the area. Get linked to those who hold similar plans to you. If you have decided you don’t have much time OUTSIDE of the house, then our FitMama and WellMama apps for home give you motivational reward posters every step of the way to keep you motivated! Apart from the distraction that your smart-phone causes (this was not taking into account while building up the plan! ), let’s use it to help keep the New Year’s Resolution. Find the Facebook pages, twitter accounts, Pinterest boards and Instagram accounts that inspire you for changes and provide support for self-confidence, Parenting management and topics relevant to your New Year’s List. They have great hands-on lists and inspiration for Mothers everywhere. Follow them. Now, you are more supported with your plan and the Force will be with you for this year! (see what we did there?! 😉 You could even follow the people you admire and who inspire you – sometimes just seeing a nice inspiration quote can inspire you day-to-day. SHARING achievements is really important. The extra mile you’ve run, the new book you’ve read, the selfie of the night out with friends; all of which would remind you that the New Year’s Resolution WORKS! All range of FREE apps are at your disposal. Exercising at home by 5-minute supersets? FitMama app is just for you! Try to feel more energised & relieve stress- WellMama App is perfect. Find your app which is just for your New Year’s Resolution. Be Flexible! If you are not going to the gym today that does not mean that the results of all your previous efforts disappear. Do something different outside of your list instead. A shower with a body scrub instead maybe? That counts as a Me Time too! Do create new habits not restrictions… It’s not less chocolate you need to plan to eat but eat more fruits and nuts maybe? Be Kind To Yourself! Nothing that makes you unhappy should be in your plan. Feel free to change it if you feel upset and find your way of doing the things that make you happy. It is just you and the new resolutions you need to build up a team to move into this New Year. Good luck for your New Year’s Resolution and we are here to support you every step of the way! 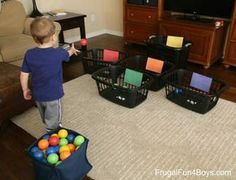 Relaxation for Mums to Beat the January Blues!13 Early Learning Games with Boxes & Wrapping Paper!